Whether you live in London are just visiting, afternoon tea is a British staple that you should definitely make time for occasionally. Afternoon tea may sound like a pricey luxury reserved for ladies point you in the right direction, here are 6 cheap afternoon teas in London, each boasting high ratings and servings for £20 or under. Hidden on the second floor of department store Fenwicks, Bond & Brook is a restaurant and bar. Despite the pricey designer clothes that surround this place, Bond & Brook is very reasonably priced. Their classic afternoon tea consists of finger sandwiches, scones, cakes and tea, and is £19.50 per person. If you fancy a lighter bite, the simple option of tea and scones is only £9. As the name suggests, The Tea Terrace is a charming English tea room based on the top floor of House of Fraser. 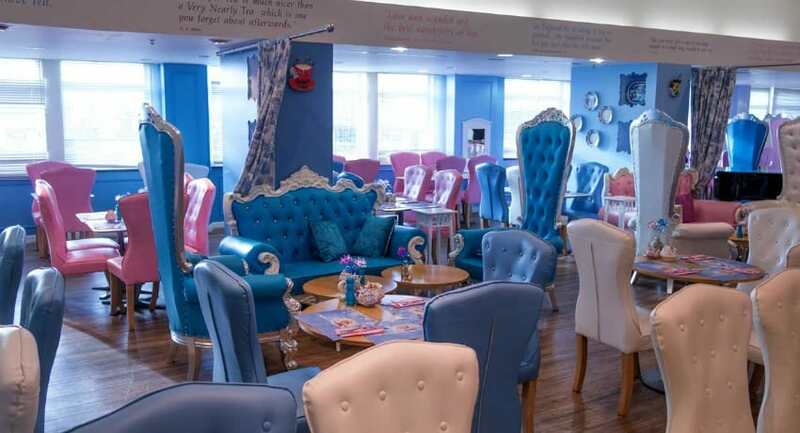 With it’s high backed, colourful chairs, you could just have easily fallen into the Mad Hatter’s Tea Party as a London tea room! Although The Tea Terrace is a fully fledged restaurant, it’s most famous for its afternoon teas. Their cream tea, consisting of scones of your choice, cream, jam and a selection of teas is just £9.35 per person. If you fancy upgrading, the traditional afternoon tea includes sandwiches and cake and is £21.25 each. Third on the list of cheap afternoon teas in London has to be The Fan Museum, which seems to also be the cheapest! Based in a museum dedicated to the history of fans, the café is situated in a beautiful orangery. For your money you’ll get tea, cakes and scones, earning the title of ‘best value afternoon tea’ by the Daily Telegraph. The price? Just £8 per person, however, this does come after paying the £4 museum entry. 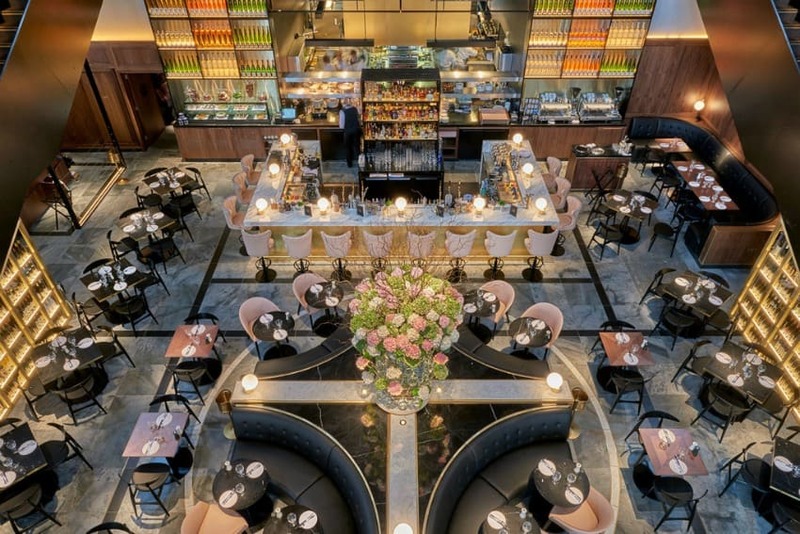 Recently voted one of the most beautiful restaurants in the world by the Restaurant and Bar Design Awards, it’s hard to believe somewhere as stylish as German Gymnasium would get featured a list so traditional. This picturesque place offers afternoon tea for £18.50 per person. It includes a glass of sparkling wine, mini sandwiches, a range of desserts and tea or coffee. You can choose The German option or The Austrian, which differ based on their sandwich fillings and choice of pudding. 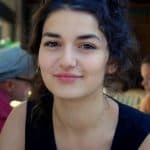 While, like many South London destinations, Deptford may seem off the beaten track, Little Nan’s is worth the journey and is surprisingly accessible on mainline trains and the DLR. It features decor that screams beach party meets grandma’s living room, complemented with a disco soundtrack. Although this place is known primarily as a cocktail bar, you can still stock up on mini pastries, cakes, sandwiches and scones in their afternoon tea deal, all of which costs £20. If you fancy going, ensure you book in advance. Last, but not least, on our cheap afternoon teas in London is The Crusting Pipe. 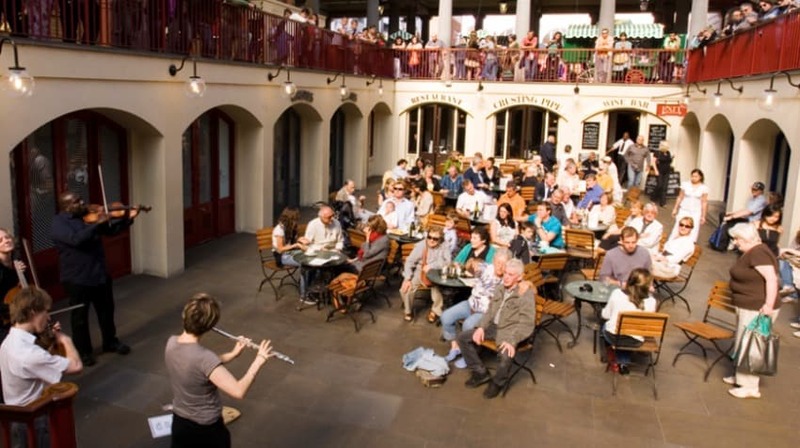 Based in the heart of Convent Garden’s Piazza, this place is best known as a wine bar to the evening crowd. 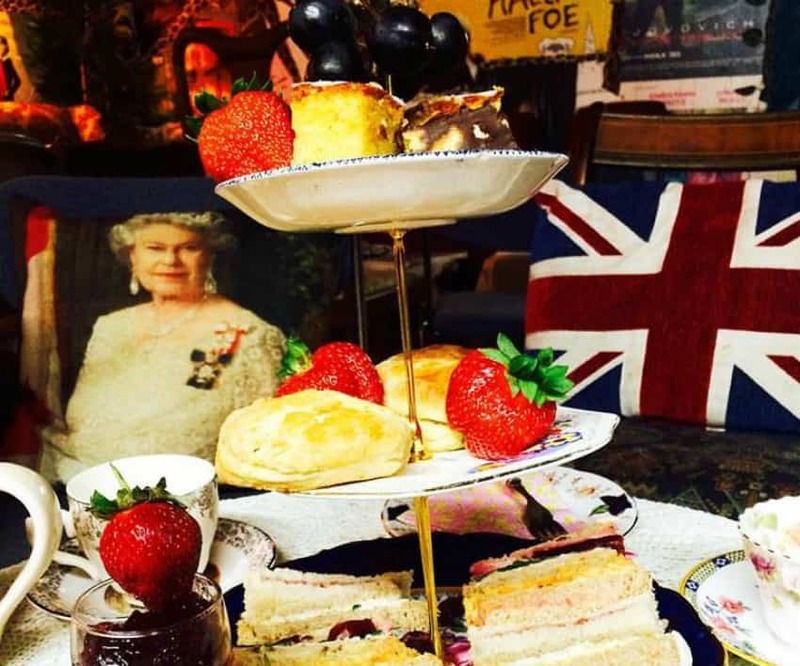 But for the price of £18.95 per person you can indulge in finger sandwiches, scones, homemade desserts and unlimited tea, not to mention outdoor seating in a cosy courtyard. On top of this, the live opera singers and string quartets who are often performing nearby add even more class to your afternoon. 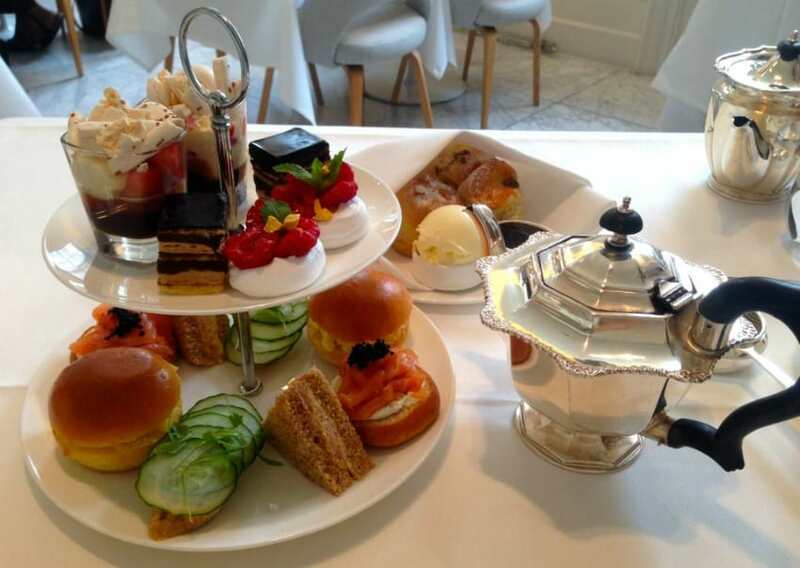 We hope you enjoy one of these cheap afternoon teas in London! And if you like this tasty article, check out Five Delicious And Cheap Meals You Can Batch Cook And Freeze.